Good Energy has unveiled Origami Energy as the aggregator partner working on the company’s new battery storage solution, which last week signed up its first commercial customer in the Eden Project. The renewable energy utility has stated the partnership will enable it to offer business customers a bespoke battery storage solution which provides flexibility of electricity usage, and where on site generation is not being used, help reduce their carbon footprint and drive cost savings. 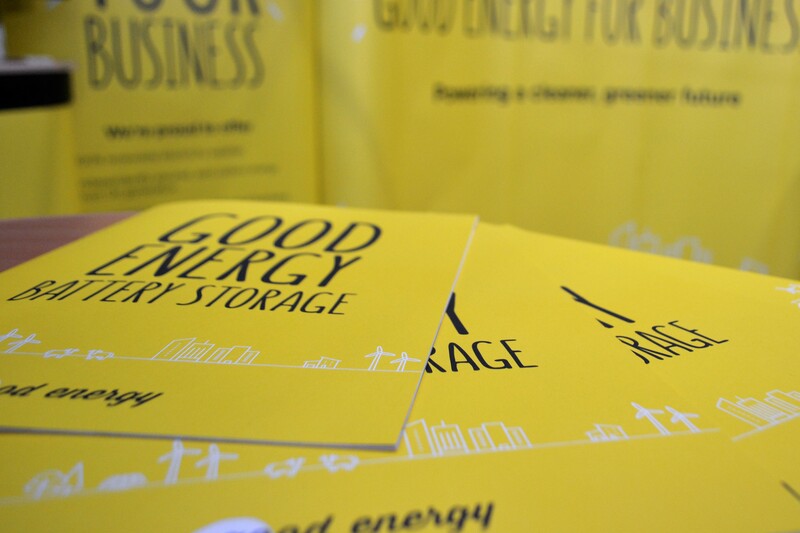 Good Energy plans to specify, install, operate and maintain a customer’s energy storage system, with Origami Energy working to reduce consumption of electricity from the grid at peak times to help lower energy costs. Its technology platform will provide real-time management of diverse portfolios of electricity generation, demand and storage assets for industrial and commercial customers. This will allow them to achieve lower electricity charges by shifting and reducing demand. Dr. Randall Bowen, director of business services at Good Energy, said: “We set out to be a catalyst for change in the UK energy market; Origami Energy’s solution enables us to continue down that path by challenging the traditional models of energy supply while increasing the value we deliver to our customers. The fully funded offering means customers will not have to pay any upfront costs for the install, with Good Energy and its new technology partner seeking to provide frequency response services to the grid when not in use on site, the revenue of which will be shared with customers. The supplier has said it will target the firm frequency response (FFR) market for this revenue, despite the rapidly escalating competition to secure contracts within the monthly tenders. Last month National Grid’s head of business development Claire Spedding warned developers against “building an entire business case around FFR”. However, Origami can claim a strong track record of securing contracts from National Grid, having won 84% of the total hours that its contracted assets are capable of delivering. In October, National Grid accepted 100% of Origami Energy’s bids, with the aggregator claiming on average it only accepts 25% of all bids submitted. “With only about 15-25% of bids typically accepted in a given month, competing in the dynamic and static FFR markets can be a daunting prospect for customers,” Bance commented. Good Energy said it’s offer will also seek to secure contracts in the Capacity Market, however it will have to contend with the newly announced de-rating factors slated to be introduced before the next auction in January 2018.